Click here for more Face Lift Videos with our Facelift YouTube Playlist! Dr. Philip Young is an award winning facial plastic surgeon who discovered a groundbreaking Theory on Facial Beauty called the Circles of Prominence. Find out why people from all around the world travel to see Dr. Young here: Top Ten Reasons to choose Dr. Philip Young. 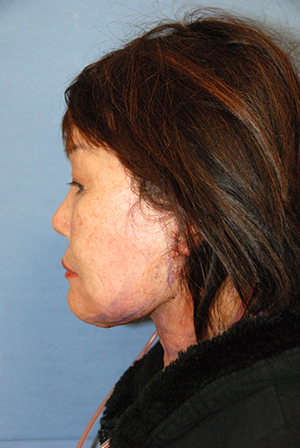 Below you read about our facelift recovery page to help you through your recovery. If there is anything that you would like to learn please contact us any time here:Aesthetic Facial Plastic Surgery Contact. Prior to your procedure, you will have a consultation and a pre procedure appointment to prepare for your Facelift, Mini Lift, and whatever other ancillary procedures you will be having done. Here is more on our consultation process. During your first consultation, the doctor will determine which procedure fits your needs and desires. Our Patient Care Coordinators will go over the procedure as well and also will discuss pricing and financing with you. It is important to read through your pre procedure care package that we supply for you and that can be found here on our Patient Care Page. During you pre procedure appointment, we will go over more of the details of the procedure with you. We will more thoroughly review your medical history and schedule the necessary medical clearances if these are needed. This is the point when we sign consents which is essential to the whole preparation process. You can learn more about the pre procedure appointment here.The pre procedure appointment should be at least 2 weeks before the procedure. You will asked to stop all blood thinners 2 weeks before and 2 weeks after. This is a list of medications /supplements to avoid. There are some foods on this list. You can still eat the foods just don’t eat excessive amounts of those listed foods. You will also be told to drink 64 ounces of Gatorade 6 hours before your procedure. After this you should strictly refrain from eating or drinking anything until after your procedure. If this is not followed you could have your case cancelled. We also ask you to bring the medications (hat we prescribed to you) with you to our office. On the day of the procedure, we will go over most everything again prior to your procedure. You will have some time to go over some more questions with Dr. Young (or the other Doctors in the office) and our other staff. You should also bring your caretaker consent form and your caretaker should read the post procedure notes that we supply for you. You can get these notes from our Pre and Post Plastic Surgery Procedure Care Packages as mentioned above. After the procedure, we will start your oral pain medications so that you will have a smooth transition and less discomfort while at home. The pain medications that we usually prescribe is Percocet (with 5mg Oxycodone and 325mg of Tylenol / acetaminophen). The most you should take are 12 pills in a 24 hour period. Everybody is different and you should try to keep you pain level not at zero but around 3-4 out of ten. 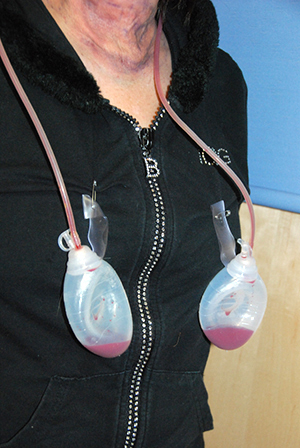 This will avoid dangerous over sedation with pain medications. The pain medication should be taken as needed. Also you should start your antibiotics as soon as you can when you go home, preferably with something to eat. The antibiotics should be taken regularly and finished completely. Keflex and Clindamycin are the usual drugs that we prescribe. They should both be taken every 6 hours. You will also likely have ondansetron/zofran prescribed which is for nausea. See you care packages for more information on how to use these medications. Your caretaker should keep an accurate record of the medications that you take after the procedure. You will also likely have a drain. The drain, although not very pleasing to look at, is very important for your after care. It removes fluid and helps you heal more quickly. 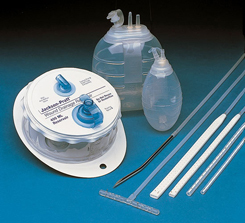 We ask you to record the drainage every 6-8 hours in milliliters / cubic centimeters / cc / ml. We need this information to determine when to remove the drain. We would like the drain to be less than 15cc over a 24 hour period. We usually remove the drain 1-3 days after the procedure. The drains we use are shown below. In order for them to work, they need to be compressed. When they are in the state shown in the picture, there is no compression and hence the drains will not be working. The drains need to compressed at all times for you to get the full effect from there action. Wound Care:We also have a great page on cleaning your incisions and wound here on our Wound and Incision Care Page. We also would like to you to wrap your face and neck for 24 hours in a day for the first 7 days. Then we would like you to wrap for the next 2 months in the evening as tolerated. 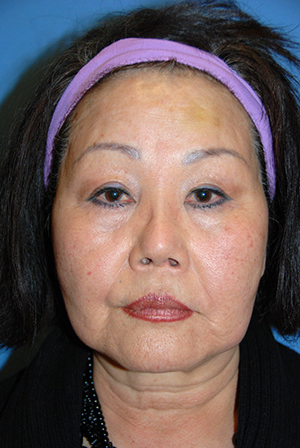 This process will really help you heal after your face / neck lift. The wrapping with the ace bandage should be lightly done. We usually suggest 4 inch ace bandage. We want you to essentially lay the ace bandage on with very little pull when you wrap with it. Importantly, when wrapping your face and neck, you should vigilantly continue to check to see if the wrap is not too tight. You should avoid blanching of your skin at all costs. This is a demonstration that you can do for yourself to understand what we mean by blanching. Placing some pressure with your finger on the back of your hand will cause the blood flow to be pushed away from under your finger. You will notice that after you lift up your finger, the blood flows back in and it turns from pale to pink red again. This is an example of blanching. 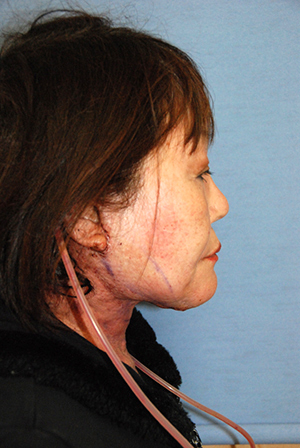 You should not have any blanching under the wrap in the areas of your face and neck. But you should have some amount of pressure for better healing. 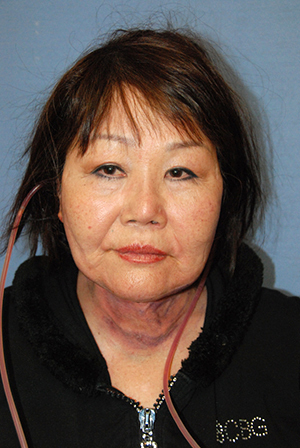 Below are photos of one of our patients before her Neck Lift. 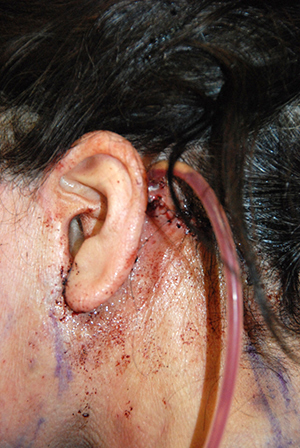 The photos that will follow will show you the day after her procedure to illustrate the drain. 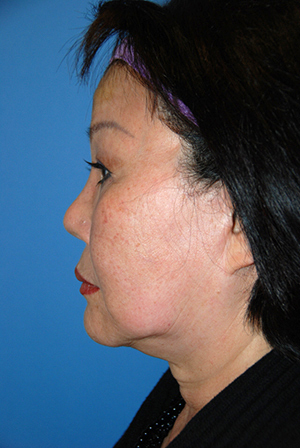 The recovery from a face and neck lift depends on many factors. How well you follow the preparation packages instructions and the after care will make a significant difference. We usually tell people that they will have 60% of your healing at 6 weeks, 80% at 6 months. You keep healing for a year or two minimally. Most of the recovery is the first week. Swelling / Discomfort is greatest the first 2-3 days. Bruising is present mostly the first week but really depends on you, your personal genetics, your lifestyle, your health, etc. You can experience tightness for days to weeks, but this gradually gets better. Numbness is unavoidable and gets better over time. Sometimes the numbness can last for months. It just takes time for the nerves to grow. The incisions heal mostly in the first week. You get your sutures out at 6 days. The incision line can stay red for weeks but you can camouflage them with makeup after your incisions heal at around 1-2 weeks. All this will be worth the positive changes in your appearance. The changes will start improving the way you feel. You will look and feel great! We will help you through this whole process!